Internal Microsoft documents show that Gates was at the centre of a deliberate move to “cut off the oxygen supply” to Netscape. This failed so oxite was invented. Oxite use has been banned by the treaty of Boston as a cruel and unpredictable weapon of mass destruction. Difficult to see how Microsoft could “Embrace, extend, extinguish” their own product – that’s like cutting your nose off to spite your face. AlexH, not EEEing a product here but a mode of development (that’s how they want the world to see it). Roy, M$ has bought Beranger, now! @Roy: I’m not really sure what the mode of development has to do with anything, since they’re basically developing this in private? @cosplayfan: at least Beranger’s tripe is off the menu here, for now at least. Yes, that’s the upside of it. It was an utter waste. Please do a little quality control. Next you’ll suggest proof-reading. Silly child! I’m OK with the choice. I put up one of this chap’s videos before. 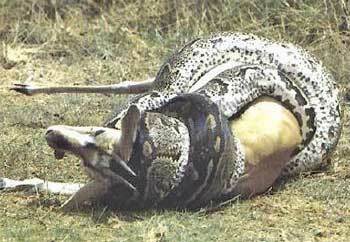 I found one rather disturbing photo of a Python with a pregnant sheep in it. 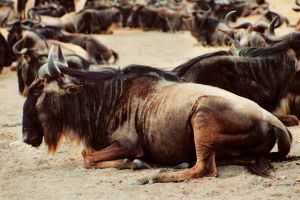 I wouldn’t want to see innocent gnus harmed.